Skindred will begin their highly anticipated US return this Friday in Wisconsin when they kickoff a two month long jaunt with Disturbed and Sevendust. Set to hit arenas and theaters across the country, the tour is one of the hottest tickets of the winter. A full list of dates can be found online in the tour section of http://bielerbros.com. 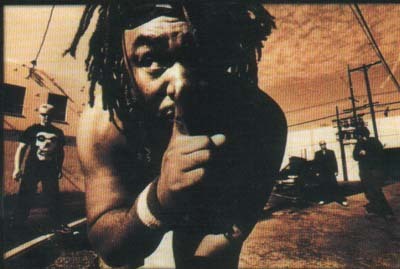 Skindred's new cover of the Eddy Grant classic, "Electric Avenue" has made its way online through the band's official MySpace page (http://myspace.com/skindred). Debuting both online and at radio on Monday, the song was met with high praise by fans of Skindred as well radio stations. Due to popular demand, Skindred have slated a January 27th release through iTunes for the track.